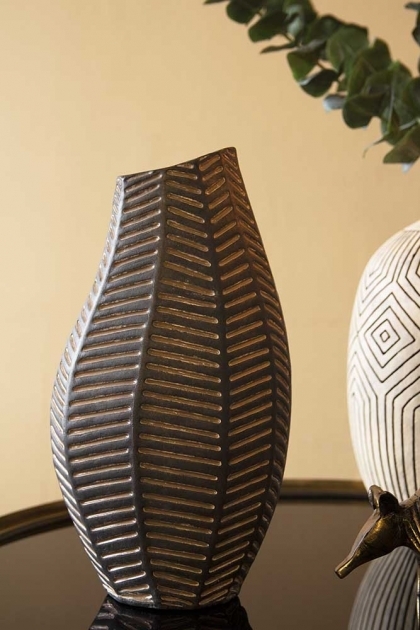 A beautiful global inspired vase the Black African Ceramic Chevron Vase is a striking tribal vase that you will love. 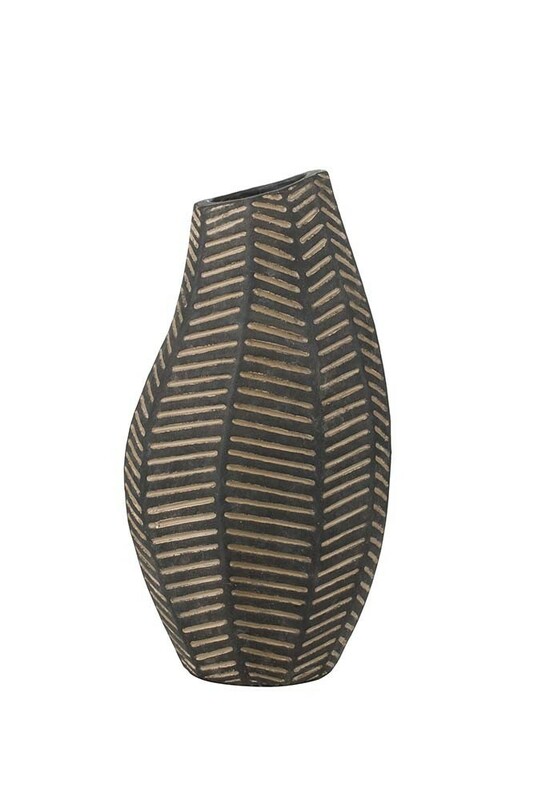 A quirky flower vase the Black African Ceramic Chevron Vase features a curved bottle neck shape with engraved horizontal lines which adds textural interest to the piece. 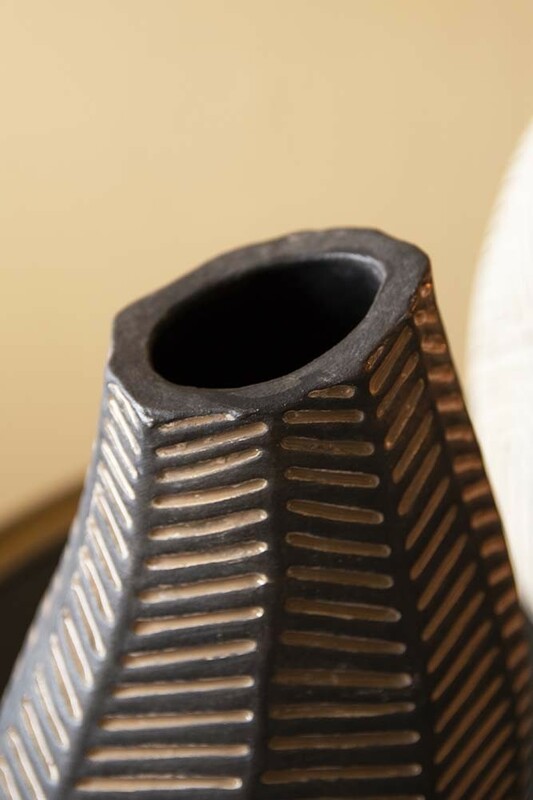 A ceramic bottle neck vase, the Black African Ceramic Chevron Vase with a bottle top measures 16cm in length x 11cm in width x 32cm in height. If you are on the hunt for an earthy vase that will add rustic or boho eclecticism to your home interiors then this is the vase for you. A gorgeous piece that is perfect for long stem flowers and plants we also think that this vase would make a thoughtful gift for anyone who has a taste for global inspired décor. Vases can be styled anywhere in the home, so why not pair this quirky Black Chevron Vase with our Stone & Black African Ceramic Chevron Vase? The different shapes and complementary colours of the two vases will create impact in any room in your home.